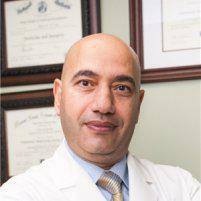 At Health Wise Women, your overall wellness is a top priority for Mohamed Esiely, MD. At his practice in Hoboken, New Jersey, Dr. Esiely draws upon his more than 20 years of OB/GYN experience during preventive well-woman exams to make sure you’re healthy at every stage of your life. To schedule your well-woman exam, call Health Wise Women or schedule an appointment online today. What is a well-woman exam? Besides your physical exam, Dr. Esiely also offers services that include temporary or permanent forms of birth control, anti-aging treatments to rejuvenate your skin, and preventive gynecology care such as cervical cancer screenings, menopause management, and Votiva vaginal rejuvenation. To prevent and treat cervical cancer effectively, you need to have regular Pap smears, or Pap tests. This test is performed during your pelvic exam. You should begin having Pap smears regularly at age 21, or when you start engaging in sexual activity. Your regular well-woman pelvic exam also screens for uterine and ovarian abnormalities, breast cancer, and sexually transmitted diseases. Dr. Esiely works closely with you to address your hormonal imbalance through a combination of traditional and alternative treatments for menopause. These might include medications, supplements, dietary changes, or exercise. For issues associated with thinning or weakening vaginal tissue, Dr. Esiely offers Votiva vaginal rejuvenation. What is Votiva vaginal rejuvenation? Votiva is a noninvasive, nonsurgical laser therapy used to rejuvenate your internal or external vaginal tissue experiencing laxity or weakness. Dr. Esiely uses Votiva’s subdermal thermal energy to gently restore blood flow, firmness, and sensitivity to the vaginal tissue. To learn more about services included in well-woman exams at Health Wise Women, call or schedule an appointment online today.